The vibe inside the house was different from what I’ve always felt. Usually they are happy to see us. They know us. They speak our names on our digital recorders and share some of their secrets. They’re usually very cordial. This time was different. From the minute we walked through the doorway, we could almost feel them sigh at the sight of more people. It was as if they just wanted to be left alone. Tina Aube and I had spent the day in Gardner, split between the public library and the local museum, collecting research about the mansion. Much of the history of the house has been misconstrued over the years and we both have a burning need to unravel the stories. Since I’m writing a book for the owners on their experiences, I wanted to make sure I had all the facts correct. We found out a lot, but there are still so many stories left untold. We’d hoped to uncover a few. We’d recently learned more about Mattie Cornwell, the nanny who resided in the house, caring for the Pierce children. Evidence that she’s still in residence continues to this day. 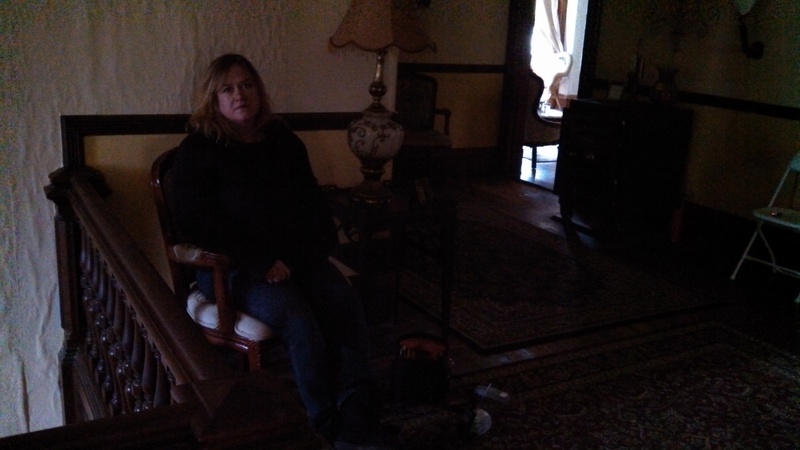 When Tina spent the night there with me over the summer, she captured an evp of someone telling Mattie to stop it. At the same time, Tina felt a finger press down on her face. This time, Mattie was nowhere to be found, but the others were present and accounted for. I felt them swoop as we stood in the kitchen. Some of them were happy to see us after being alone for several weeks, but some of them felt otherwise. We immediately went up to the second floor landing, where we’re usually well received by the resident ghosts. I was excited to talk to Eino Saari, the man who died of smoke inhalation in the 1960’s. His story is one that has been told incorrectly over the years. Having a record of his death certificate and a copy of his obituary, we now know that he died of smoke inhalation after a mattress fire and not of spontaneous combustion, which has been the lore for decades. We also knew the names of his parents and siblings and wanted to tell him that information. When I asked him if his father’s name was Matti, he responded on the Spirit Box with “Matti”. Click on the link below to hear the actual evp. I have been having a hard time getting more information about Ellen Pierce, so I went to the source and asked the resident ghosts. “What kind of person was Ellen,” I asked. The response blew me away. “Nellie,” a woman said. Most people don’t know that Ellen’s nickname was Nellie. I asked who was there with us and got a strange response. I’m including it here, because it is so strange. There are actually two layers to this response. There’s a woman’s voice that goes through multiple stations, saying something like, “The Bellaney’s boys are here now,” and beneath it, you can hear a child’s sing-song voice. The next evp is the most compelling. I told them that the reason I was there was because I was writing a book about the Victorian and I wanted to get their stories right. The response was very clear. A male voice said, “Edwin.” People are always dismissing the Spirit Box, saying it’s just picking up stray radio voices. I think this response really puts that theory to rest. What are the chances of them saying an uncommon name like Edwin? We continued up to the third floor and the energy up there was very different. We both felt as though they didn’t want us up there. They’ve seen a lot of investigators over the course of the past few years, not to mention the tours we’ve led through for fund-raising efforts. We went into the cistern room first and almost immediately got this response. We didn’t hear the response at the time. It was spoken aloud on the Spirit Box, but we didn’t catch it until later when we listened to the audio recording. If we had, we might have left right away. Instead, we decided to move to the Billiards Room for one more quick session. While we were sitting there, the feelings became so strong. “We need to leave. I just feel it,” Tina told me. I was getting a similar feeling, so we were packing up to leave when all hell broke loose. Water started dripping from the ceiling, faster and faster, until it was pouring buckets. We honestly thought we were going to witness a ceiling collapse. We raced for the stairs and then called Marion, who called the owners to alert them. We did walk back in a few minutes later and were reassured that the ceiling was still intact. Here’s the response, capturing our horrifying moment. If you listen closely, you’ll hear a ghost voice telling us to “get out” at .10 in the recording. Were they warning us to get out before we couldn’t? After that, we packed up and left. It was a sad moment for both of us. The house needs a new roof, badly. I don’t know how much longer it will have before it’s too late to fix it. It might already be too late. One thing is for certain. I’m not going to be standing underneath it when the ceiling finally decides to go. It makes me sad because I love that house. Angels of Ember trilogy – After a devastating virus nearly wipes the world clean of people, 16 year-old Ember Pain grows tired of running and hiding from the bad men who hunt her and her younger sister, Elizabeth. 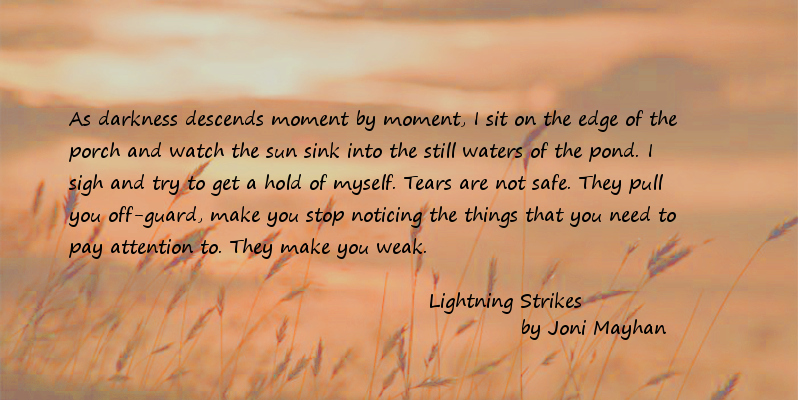 Fighting back becomes a necessity, even if it threatens her very life. This entry was posted in Night Thoughts, Paranormal and tagged Ghost, Ghost Hunt, ghost hunting; Haunted Victorian Mansion: paranormal:, Paranormal, Spirit Box, Victorian era by jonimayhan. Bookmark the permalink.